Kansas City, Mo. 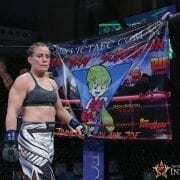 — The fight card for Invicta Fighting Championships 32 is set as the promotion will make its first trip to the state of Oklahoma, touching down at the FireLake Arena in Shawnee on Friday, Nov. 16. The event will stream live on UFC Fight Pass. A featherweight title fight featuring undefeated Felicia Spencer (5-0) and veteran Pam Sorenson (7-2) headlines the action. 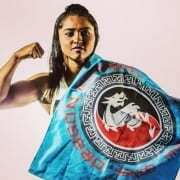 Spencer, who has spent her entire professional career under the Invicta banner, is coming off a second-round submission win over Helena Kolesnyk at Invicta FC 30. Sorenson, meanwhile, has won five of her last six. 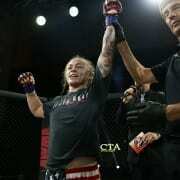 Her most recent Invicta appearance also came against Kolesnyk, whom she submitted in the first round. In the co-main event, former strawweight title challenger MIZUKI (12-5) squares off with UFC veteran Heather Jo Clark (8-6). Japan’s MIZUKI aims to rebound from her hard-fought, split-decision loss against Virna Jandiroba at Invicta FC 28 in March. Clark made a successful promotional debut in July, defeating Brazilian Kinberly Novaes. 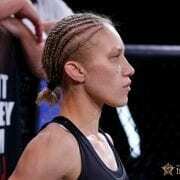 Also on the card, atomweight veteran Ashley Cummins (6-4) welcomes undefeated Brazilian Jessica Delboni (7-0) to the promotion, recently re-signed featherweight Kaitlin Young (8-9-1) meets French newcomer Zarah Fairn Dos Santos (6-2), bantamweight Alexa Conners (5-2) tangles with Oklahoma’s Julia Avila (5-1), grappling stalwarts Erin Blanchfield (2-0) of New York and Brazilian Luanna Alzuguir (0-0) meet at flyweight, Oklahoma’s Stephanie Geltmacher (3-0) returns to the flyweight division against Liz Tracy (5-2), and GLORY Kickboxing veteran Isis Verbeek (0-0) makes her MMA debut against a yet-to-be named strawweight. Ticket information for Invicta FC 32 will be announced in the near future.